Jack Grossman first committed to writing his novel, Child of the Forest, in 2006. Twelve years and a long journey later, this local author brought this project to fruition. Celebrate his accomplishment, meet the author, and explore the themes of his Holocaust-era novel during a Saturday morning book signing at Main Street Books. Escaping the Horochów ghetto was just the beginning for twelve-year-old Musia Perlmutter. Alone, starving, freezing at times, and running and hiding for her life, Musia sought refuge in the forest for two years while Holocaust death camps loomed nearby. 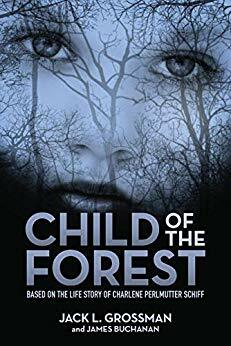 Child of the Forest is based on the true story and tribulations of Shulamit "Musia" Perlmutter, born in 1929 to Simcha and Fruma Perlmutter, and stands as a memorial to her extraordinary courage.